I am a life sciences researcher in the Barts Cancer Institute, Queen Mary University of London, United Kingdom. I got a M.S. degree in Life Sciences at Université Joseph Fourier, Grenoble, in june 2007. I then prepared a PhD thesis in Cellular and Molecular Biology, which I defended in december 2011. During my thesis, I was a teaching assistant for Université Joseph Fourier. For full contact informations, both at work and at home, please refer to my vCARD (4.0; also in 3.0). For direct conversations, I can also be reached by XMPP-based instant messaging and by SIP-based voice-over-IP. 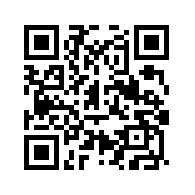 I am also on the GNU Ring network, where I can be reached with the following Ring ID: 77e56e172fa8c8d6e05b5cddf83677123459dfa0 (or scan the QR code from the Ring application for Android). I participate in the Friendica decentralized network, you can join me on my instance; you can also follow me from any network supporting the OStatus protocol. I use only free software; I am a member of APRIL, a French association promoting free software, and also a Fellow of the Free Software Foundation Europe. I am an occasional developer, some of my scripts and programs are published on this site. I contribute episodically to the French Wikipedia, mainly on articles of cellular and molecular biology, and I try to provide Wikimedia Commons with some schematics and illustrations. PE- Y+ PGP++(+++) t 5? X R tv- b+++ DI? D G e++++ h+ r- y? ↑ This key has changed in April 2014, see the transition statement.